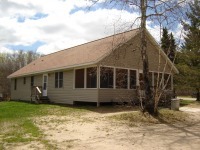 As you ponder your summer vacation plans, give some thought to the possibility of renting a cozy, secluded cabin along one of the many serene, clear Minnesota lakes. 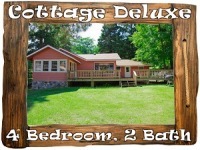 With the breath-taking scenery, quiet peacefulness of the forest and charm of the Minnesota pine forests, you and your family will be able to experience the ultimate in relaxation. So, why choose to spend your precious vacation time in an overcrowded, headache-inducing theme park? Instead, kick back on the porch of your Minnesota cabin, sip your coffee and relax amidst the wondrous beauty of nature at its finest. The greater Baxter/Brainerd area of central Minnesota features some of the best fishing and scenery in the state. 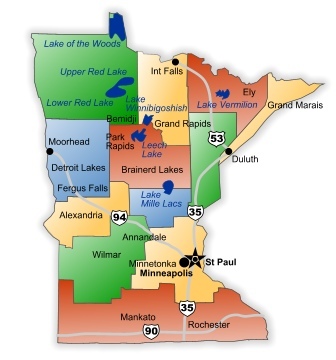 Home to countless lakes, fishing novices and experts alike flock to the Brainerd area in search of pike, smallmouth bass, largemouth bass, northern pike, muskie, tullibee and jumbo perch in the waters of Gull Lake, Pelican Lake and Whitefish Lake. Mille Lacs, located minutes from Brainerd, is home to the Mille Lacs Indian Resort complete with a casino and museum. The greater Baxter/Brainerd area offers both peaceful seclusion in nature along with a myriad of cultural attractions and events. Just north of the Brainerd/Baxter region lies the Chippewa National Forest. Here, the crystal clear waters of Leech Lake, Cass Lake and Lake Winnibigoshish are the gems of the Minnesota Northwoods. Outdoor recreation on these lakes includes boating, fishing, water-skiing and swimming. For terrestrial activities, visitors can enjoy a leisurely hike or bike ride through the beautiful ground vegetation and old world pine forests of the Chippewa National Forest. Even though it's winter, don't let the cold dissuade you from visiting the Chippewa National Forest region. Winter brings perfect outdoor pastimes such as ice fishing, snow mobiling, skiing and sledding here in the Minnesota Northwoods. For those seeking an opportunity to experience the peaceful solitude only nature can provide, the Superior National Forest of northern Minnesota is an excellent choice. Located just north of Duluth, Superior National Forest is one of the largest national forests in the United States. The terrain, carved by ancient glaciers, features numerous interconnected rivers, lakes and reservoirs. Secluded, yet easily accessible from the larger cities of Duluth, Minnesota and Superior, Wisconsin, the Superior National Forest is the perfect destination for families seeking respite from the responsibilities and pressures of everyday life. Nearby, along the shores of Lake Superior, lie a myriad of charming lakeside towns. For travelers seeking access to busier towns and cities, renting a vacation cabin along the shores of Lake Superior near Duluth and Superior can be the perfect getaway. Towns such as Two Harbors, Silver Bay and Castle Danger beckon visitors with their quaint coffee shops, antique stores and a relaxed pace of life that you cannot find in many other locations. Lake of the Woods in northwestern Minnesota also offers peaceful seclusion from the hustle and bustle of everyday life. Situated near the Canadian border, Lake of the Woods is one of the northernmost points in the continental United States. On many clear evenings, it is possible to see the Aurora Borealis, or Northern Lights, from this spectacular region of northern Minnesota. Forming the boundary between the United States and Canada, the Rainy River connects the Rainy Lake and the Lake of the Woods. Along these bodies of water, lie charming, secluded vacation cabins, perfect for a respite from the responsibilities of the outside world. Visitors to Lake of the Woods can explore the rich history and culture of this region with daytrips to historical sites such as Fort St. Charles, the Spooner School/Courthouse and the Low County Museum. 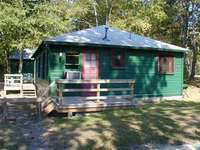 Cabins here range from rustic to luxurious and visitors are sure to find the perfect lodging choice to suit their needs. Another great choice for easy access to the rich culture of city life is to rent a vacation cabin along the shores of Lake Minnetonka, just outside of the twin cities of Minneapolis/St. Paul. Fabulous luxury vacation homes are available for rental along the shores of the serene Lake Minnetonka. Communities such as Excelsior, Shorewood, Mound, Deephaven and Wayzata, provide easy access to the natural beauty of the lake and all of the countless attractions, shopping and dining opportunities of the Twin Cities. Visitors can spend the morning leisurely fishing on the lake, followed by a fast-paced evening of shopping and dining at the incredible Mall of the Americas, approximately a half an hour's drive from Lake Minnetonka. Lake Minnetonka allows you to simultaneously experience the seclusion of nature and the vibrant big city life of Minneapolis/St. Paul. If you are interested in experiencing a different kind of vacation, relaxing amidst the wonders of nature, consider planning your next trip to Minnesota! With countless vacation homes and a wide variety of destination choices, you cannot go wrong! So, what are you waiting for? 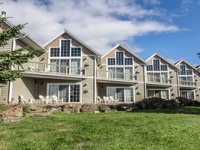 Reserve the vacation home of your dreams, today!